Brown still has three years remaining on the $72 million contract he signed in the spring of 2017, and remains one of the most dynamic performers in the league. He is the only player in NFL history with six consecutive 100-catch seasons and he hauled in 104 receptions for 1,297 yards and a franchise-record 15 touchdowns in 2018. There is no major rush with another month before the new league year begins, though Pittsburgh could work out the parameters of a deal by March 13. 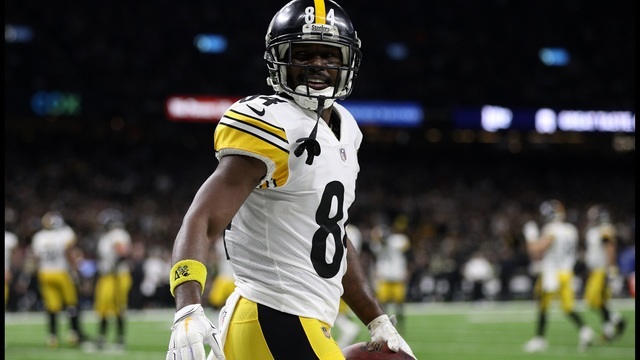 Brown’s contract counts $21.12 million in 2019, a number that inches north to $23.62 if Brown receives a $2.5 million roster bonus he’s scheduled to receive on March 17.